Q: I have an application pending with US Citizenship and Immigration Services (USCIS) to adjust my status to that of legal permanent resident. I received a work card based on a form I filed back when I applied for permanent residence. It’s now looking like my work card will expire before I get my green card. What should I do? A: Your work card (what USCIS refers to as an “Employment Authorization Document” or EAD) allows you to obtain a Social Security number and work legally in the United States pending the processing of your application to adjust status. You need a current EAD to continue to work legally here, so if it looks like yours will expire before you get your green card, you need to apply to renew it. You should file your renewal application as soon as possible within the time frame allowed by USCIS. The agency currently accepts renewal applications no more than 120 days before the expiration date on the card. The same form I-765 is used for filing for a replacement card when the original has been lost or stolen or contained mistakes when issued. The 120-day limit does not apply to replacement applications; they may and should be filed as soon as it is known that a replacement is needed. Note that not just adjustment of status applicants, but other people, including asylees and asylum seekers, fiancés of US citizens, and those in or applying for temporary protected status, are generally eligible to apply to USCIS for work authorization. Eligibility, where to file, and whether a fee is required vary according to a person’s immigration status. Likewise, some non-US citizens are able to work in the US without applying for an EAD, for example, legal permanent residents, conditional permanent residents, and those with visas authorizing them to work for a specific US employer (such as holders of H-1 B temporary employment visas). Note further that an EAD does not confer any immigration benefits beyond the permission to work in the United States. For example, it does not allow reentry into the US by someone who is otherwise ineligible to do so. Likewise, it does not authorize the holder to remain in the US if not eligible to do so. For example, if a person’s application for legal permanent resident status is denied, then, in the absence of some other basis for lawful presence in the US, the person would generally speaking be subject to removal from this country – even if in possession of a current EAD at the time of denial. 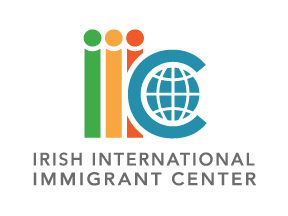 If you have questions about any aspect of immigration law, you can have a free, confidential consultation at one of our legal clinics advertised weekly in the Emigrant. Disclaimer: These articles are published to inform generally, not to advise in individual cases. US Citizenship and Immigration Services and the US Department of State frequently amend regulations and alter processing and filing procedures. For legal advice seek the assistance of an immigration lawyer or accredited IIIC immigration specialist.